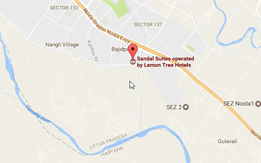 Sandal Suites, operated by Lemon Tree Hotels, is situated just off the Noida-Greater Noida Expressway. These serviced apartments, best suited for extended stays, are located within Assotech Business Cresterra in the IT hub of Sector 135, Noida. 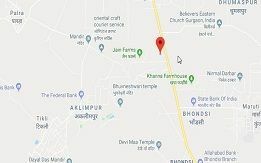 The property is in proximity to multiple residential as well as commercial complexes, including the India Expo Mart in Greater Noida, as well as multi-national corporations like GE, Genpact, Metlife, HCL, Accenture, KPMG, Samsung etc.